Open up the search bar for applications. Type run into the search bar and open it. This will cause a pop up menu labeled run to appear. There will be a search box within the run application. Search appdata to locate a file labeled roaming. Inside of the roaming file, there is a file labeled .minecraft. Open the folder labeled bin. Go to the file labeled minecraft.jar. Open the minecraft.jar with a program named WinRar. Insert any .class files needed and close the minecraft.jar. Make sure to save any changes if asked. Notes: You do not have to use installers before modifying the minecraft.jar unlike if you were on a MAC. WinRar is however required to modify the minecraft.jar. Open up your finder application. In the menu that appears full of files, locate the one named Library. Locate the file named Application-Support. It is usually near the top of the contents inside of the folder labeled Library. Locate the folder named minecraft. Slowly double click the minecraft.jar so you are able to rename it. Rename the folder minecraft.jar.zip. It will ask you if you want to use .jar or .zip. Select .zip to save your changes to the folder’s name. You are now able to drag any .class files needed into the jar to play the mod you wish. 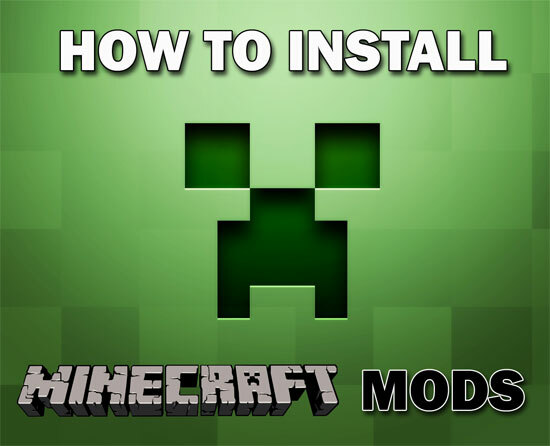 Notes: If you are going to use any mod installers such as MCPatcher and you are also going to manually install some mods, make sure to use the patchers first. If you do not, the patchers will not recognize the folder as a true .jar and you will be forced to force update your minecraft from the installed minecraft application to generate a new .jar. Other Notes: I believe that you may also just search %appdata% to locate the roaming file on a PC instead of going to run first. This may not be correct and it would be nice if someone could inform me because I have been forced to use a MAC because my PC is broken. Where you can find out anything for utilities of Minecraft.